Kush Tracey is now a born again Christian, the former secular rapper announced her decision to give her life to Christ on Sunday January 13th 2019. She attended a church service at Mavuno church where she got born again. Kush revealed that she had been fighting her inner spirit every time she was doing secular music. Well, the rapper says her decision to give her life to Christ was met by mixed reactions from her friends and fans. She reveals that some people mocked her claiming that she only got saved so that she could find a husband. “It’s quite a mixed feeling. This is something I expected. From artistes to fans, everyone seems to be having their own ideas. Some say I got saved so as to look for a husband, which I find to be so ridiculous. Artistes who made their transition from secular to gospel like Wahu and Amani called to congratulate me on the new move. Some think I will lose fans and not everyone is happy. But this is it…I am living my life,” said Kush Tracey during an interview with Pulse. 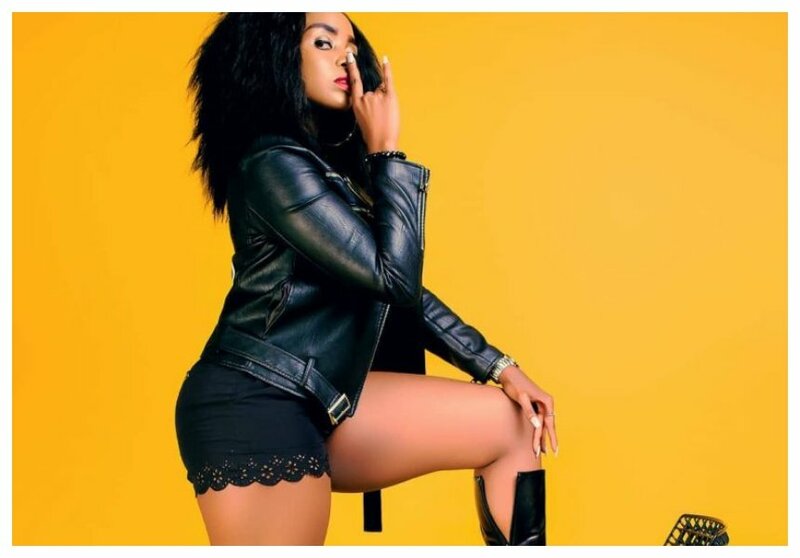 The sultry rapper also talked about things Kenyans should and shouldn’t expect from her now that she is a born again Christian. Kush says that she is now focused on mentoring and inspiring the youth. She also stressed that no one should expect to see her twerk again.